There is a well-entrenched schism on the frequency (how often), intensity (deaths per 100,000/year), and evolutionary significance of warfare among hunter-gatherers compared with large-scale societies. To simplify, Rousseauians argue that warfare among prehistoric and contemporary hunter-gatherers was nearly absent and, if present, was a late cultural invention. In contrast, so-called Hobbesians argue that violence was relatively common but variable among hunter-gatherers. To defend their views, Rousseauians resort to a variety of tactics to diminish the apparent frequency and intensity of hunter-gatherer warfare. These tactics include redefining war, censoring ethnographic accounts of warfare in comparative analyses, misconstruing archaeological evidence, and claiming that outside contact inflates the intensity of warfare among hunter-gatherers. These tactics are subject to critical analysis and are mostly found to be wanting. 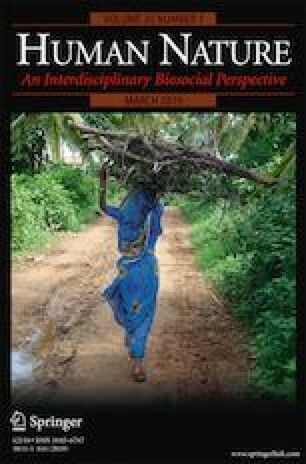 Furthermore, Hobbesians with empirical data have already established that the frequency and intensity of hunter-gatherer warfare is greater compared with large-scale societies even though horticultural societies engage in warfare more intensively than hunter-gatherers. In the end I argue that although war is a primitive trait we may share with chimpanzees and/or our last common ancestor, the ability of hunter-gatherer bands to live peaceably with their neighbors, even though war may occur, is a derived trait that fundamentally distinguishes us socially and politically from chimpanzee societies. It is a point often lost in these debates. I thank Phil Geib, Azar Gat, Bernard Chapais, three anonymous reviewers and especially Michael Wilson for their careful reading and useful comments on the manuscript. I also would like to thank my research assistant Victoria Salinas for her tabulations of the SOI data in Fry and Söderberg (2013). Ferguson, R. B. (2014). Anthropologist Brian Ferguson challenges claim that chimp violence is adaptive. http://blogs.scientificamerican.com/cross-check/2014/09/18/anthropologist-brian-ferguson-challenges-claim-that-chimp-violence-is-adaptive/. Retrieved 1/20/2018. Gabbatiss, J. (2017) Is violence embedded in our DNA? https://www.sapiens.org/evolution/human-violence-evolution/. Retrieved 1 July, 2017. Horgan, J (2016) 10,000-year-old massacre does not bolster claim that war is innate. https://blogs.scientificamerican.com/cross-check/10-000-year-old-massacre-does-not-bolster-claim-that-war-is-innate/ [Retrieved 1/22/2018]. Roser, Max. (2018). Ethnographic and archaeological evidence on violent deaths. Retrieved from: https://ourworldindata.org/ethnographic-and-archaeological-evidence-on-violent-deaths [Online Resource]. Wilson, M. (2014). Human impacts. http://blog.michael-lawrence-wilson.com/2014/09/30/human-impacts/. Retrieved 1/22/2018 2018.